From November 1st through January 8th, Campus Causes invited college dance marathon participants from across the U.S. to submit short videos explaining why they’re passionate about raising awareness and funds “For The Kids”. With $10,000 in donations up for grabs, 28 groups heeded the call and entered The Campus Causes “Why I Dance” contest. After more than 30,000 votes were cast, 6 finalists rose to the top, hoping to clench the $5,000 Grand Prize donation, while five runner-ups would receive a $1,000 donation — all for their children’s hospital beneficiaries. Based on voting by a panel of esteemed students, we’re honored to announce our Grand Prize Winner… StateDM of Misissippi State, benefiting the Le Bonheur Children’s Hospital! We extend our heartfelt congrats to all our winners and “Why I Dance” contest participants. We are thankful this contest helped amplify your voices and are humbled to support the great work each of you are doing on your campuses and in your communities. Stay tuned to our social media channels for future contests and giveaways! “Recognized among the nation’s “Best Children’s Hospitals” by U.S. News & World Report for seven consecutive years, Le Bonheur is always on the side of children, advocating on their behalf so we can provide them with the care they need. We are a Magnet-designated facility, the ultimate credential for high-quality patient care. And The Leapfrog Group named Le Bonheur Children’s a Top Children’s Hospital in 2017 — one of the most competitive honors hospitals can receive when it comes to safe patient care. Campus Causes was founded by Newbridge Marketing Group in 2016. Responding to a need to present students with an easier, less time consuming way to raise more money for their causes, the platform was designed to be a solution for students, teams and campus groups who are making a meaningful difference on their campus and for brands who want to support good causes and give back to college communities. 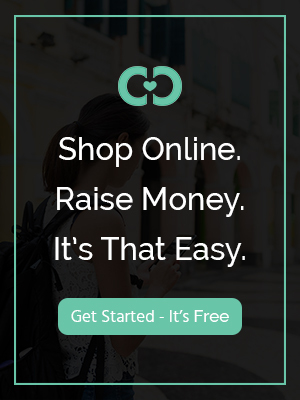 The site is a partnership with FlipGive, the leader in “Shop to Give” fundraising. For additional information, visit www.campuscauses.com or follow us on Facebook, Instagram and Twitter. Founded in 2004, Newbridge Marketing Group comprises three divisions: Newbridge Campus, Newbridge Sports + Entertainment and Newbridge LIVE!, its experiential marketing unit. For additional information, visit www.newbridgemg.com or follow us on LinkedIn and Twitter at @newbridgemg.